Owing to our years of experience, we are offering a qualitative range of Carbon Steel to our respected clients. The offered range of products is fabricated using alloy steel at our vendors' end. 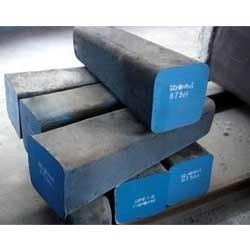 Carbon Steel is usually supplied in 'T' condition. We are offering our range of Carbon Steel in flat & round bar and flat plate, which customers can avail from us as per their requirements. We are dealing in Thane & Gujarat only with orders with maximum quantity up to 1 Ton only.